Decoy 4 is now available, with exclusive new works from myself and five of whom I consider to be the strongest illustrators in the business, and I'm so incredibly grateful and honoured to have them onboard. 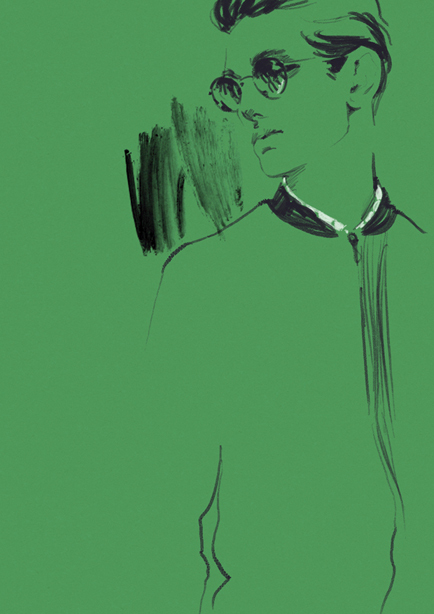 As you can see from this preview, the issue is focused on London Collections: Men SS13, the first season that London secured an official slot on the menswear calendar, each illustrator focusing on various designers. Limited to just 500 copies, numbered and signed, Decoy has transitioned from newspaper to a magazine format for the new issue. 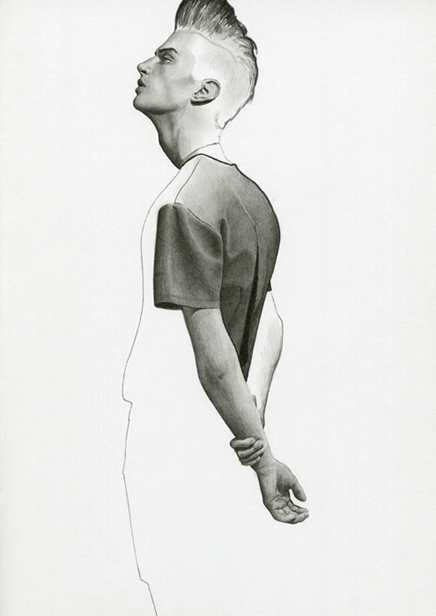 Christopher Shannon SS13, by Richard Gray. 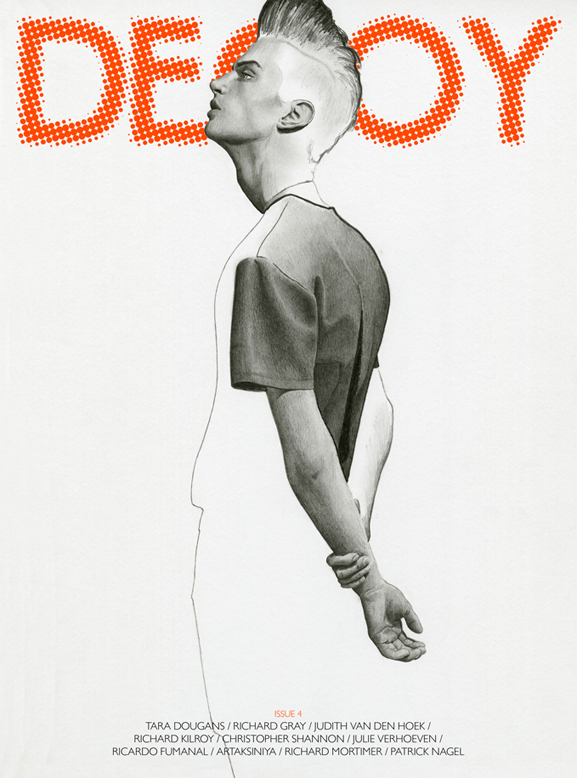 Matthew Bell in Matthew Miller SS13, by Richard Kilroy. 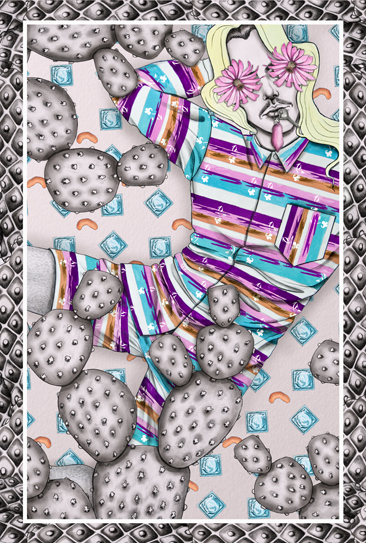 Meadham Kirchoff SS13, by Artaksiniya. 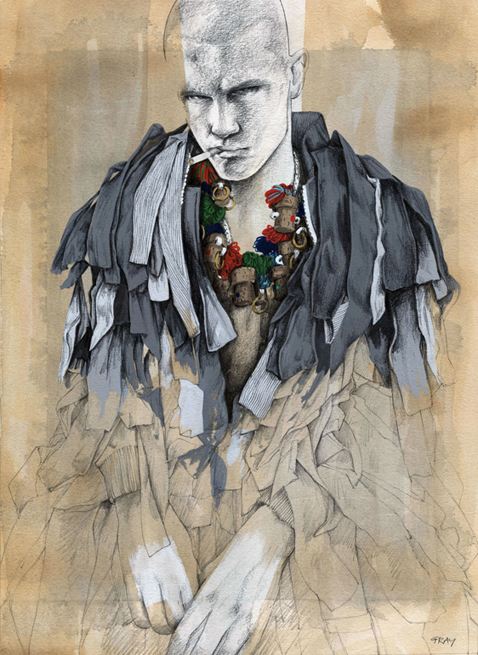 Lou Dalton SS13, by Ricardo Fumanal. 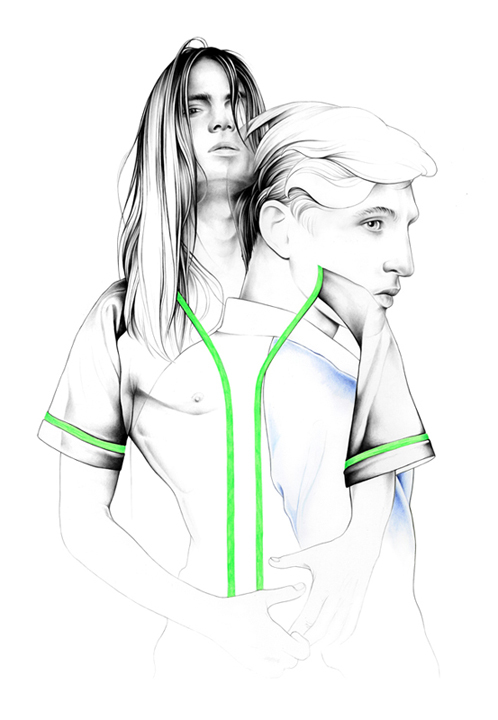 Agi & Sam SS13, by Tara Dougans. 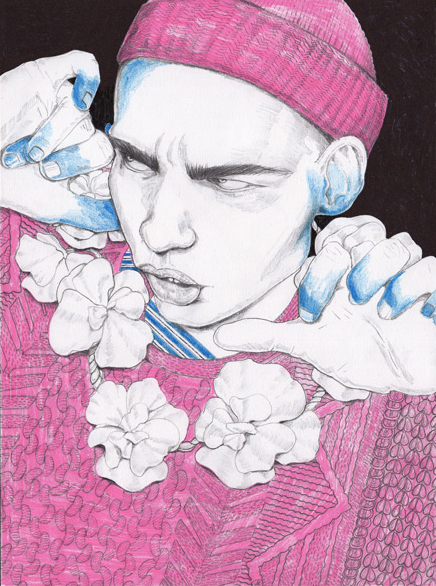 Jonathan Saunders SS13, by Judith Van Den Hoek.